We promote settlement of issues where possible and appropriate, but aggressively assert our client's rights and goals where necessary. Children should not be used as pawns in a divorce. The family may no longer be whole but the child should be. For more than 13 years, the firm has been providing high quality "family law" related legal services to our clients, throughout the greater San Joaquin Valley area. It's very simple, the fewer issues you litigate, the less you usually pay in attorney fees. As such, it generally makes more sense (financially) to reach agreements, where possible. Here you can read about recent case law that might help with your current situation. I discuss current laws and how they could effect the outcome of your case as well as the options other than litigation. It’s very simple, the fewer issues you litigate, the less you usually pay in attorney fees. As such, it generally makes more sense (financially) to reach agreements, where possible. The video clips include footage of interviews with the attorney, onsite court tours and addresses topics like: mediation, what to expect in various proceedings/situations, what the attorney will do, and much more. 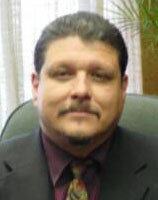 Glenn R. Wilson is a Fresno Divorce Attorney located in Fresno, California, just blocks from the Courthouse. For more than 13 years, the firm has been providing high quality “family law” related legal services to our clients, throughout the greater San Joaquin Valley area. Our firm services clients from Fresno, Clovis, Sanger, Selma, Madera, Merced, Tulare, Hanford, Visalia, Lemoore, Los Banos, and other communities in the Central Valley. Having been a police officer for 20 years before becoming a lawyer, Mr. Wilson has an insight into the reality of family law disputes that most lawyers do not share. While Mr. Wilson promotes settlement of cases where possible, his firm has a reputation for being very aggressive where necessary to get to the truth and to get his clients what they are entitled to under the law. We are one of the few Family Law firms in the Central Valley that spends a substantial amount of time preparing our clients for custody mediation and for each hearing. Our clients are given Mr. Wilson’s personal cellular telephone number so that he can be reached 24/7 in case of emergencies, such as a parent refusing to comply with a custody/visitation order over a weekend or holiday. Just try asking another lawyer for his or her personal cell number! Jobs currently posted and available at minimum wage or greater, requiring only basic life skills, and requiring none to minimal experience. Geographical area is within or in close proximity to Fresno City and/or Clovis City, California. Jobs currently posted and available at minimum wage or greater, requiring only basic life skills, and requiring none to minimal experience. The geographical area is within or in close proximity to Fresno City and/or Clovis City, California. proximity to Fresno City and/or Clovis City, California. Today I had the pleasure of meeting one of the most honest and forthcoming lawyers in my life! I’ve had a long history of issues with my son’s mother over the years and during that time I have met with several lawyers in an attempt to find one who will answer my questions in detail and won’t make me feel like their all about how soon I want to put them on retainer. Mr. Glen Wilson sat with me and went into great detail on how to Best attack my situations. He gave me options and told me how different scenarios might play out. He made me no promises but also gave me a sense of reassurance by helping me look up other cases that pertained to mine. Not to mention his staff was also very helpful and welcoming, Georgina in particular. I would highly recommend him to any who are in need. He’s good but kinda rude! Can’t ask for better in Fresno. Mr. Wilson is an aggressive attorney. I highly recommend him. Glenn is an awesome attorney and has helped me so much with my custody issues. Mr. Wilson saved me $1000 off my red light/speeding ticket. It was a huge ticket and he saved me a lot of money. Mr. Wilson is friendly, professional and fast. He came through for me when I needed help the most. He went to court for me, did all the leg work for me and made me feel comfortable the whole time. I highly recommend seeing Mr. Wilson if you need legal counsel. Mr. Wilson is overall the best Attorney you could choose to represent you in central California/Fresno area. Mr. Wilson’s knowledge of the law is top of the chart, he will aggressively protect and defend his client. Not even backing down from a judge and other attorneys. Now a day, you need the best attorney to protect your rights and Mr. Wilson is the man to do so. Very highly recommend Mr. Wilson. Contacting Mr. Glenn R Wilson was a good choice I’ve made that day, hiring him as my lawyer was the best choice I’ve made, also…compared to other lawyers Glenn R. Wilson is very affordable. Let me tell those of you who are looking into hiring a family lawyer. At the time when I was shopping for a family lawyer, I didn’t have any custody over my son, but within the year that I’ve hired Mr. Wilson, I was able to gain joint custody. I couldn’t believe how quick the results were, but please know that every case is different. Mr. Glenn R. Wilson is very knowledgeable of what he does, his staff is very nice, well mannered, and very professional. I highly recommend Glenn R. Wilson for anyone who is looking for a family lawyer. I could honestly say that Mr. Wilson was worth every penny. Calling Mr. Wilson’s office was the best choice I could have ever made! I had a court date approaching to make my temporary restraining order against my ex a permanent one. It also had custody orders attached. Very complex. I had a lot of “if this, then that” type questions that all the googling in the world could not answer. The abuse was all emotional. I wasn’t sure how the court would view my evidence. I was pretty sure I couldn’t afford a lawyer… But I couldn’t afford to not get some expert advice. So I set up a consultation with Mr. Wilson. He was very nice, understanding, and tried to understand what I actually wanted as a result of the hearing. He gave me a little background on restraining order hearings with custody AND invaluable info on my particular judge and my ex’s lawyer! He then answered EVERY SINGLE QUESTION I had. He advised how nasty a custody battle could be and after hearing my circumstances, he offered a few suggestions I never even knew were options. Point blank, I Ultimately got every single thing I requested in my settlement agreement with my ex, even one thing the judge himself would have been unlikely to order! I would never have had the courage to stick to my guns if I wasn’t empowered by the advise Mr. Wilson gave me. He said to let him know if I’ll need his representation. But then He literally said, “Why pay me if you don’t have to.” Wow, this guy was heaven sent… Just for me! If anything arises in the future, this is my guy. Hands down. The materials contained on this website are provided for general information purposes only and do not constitute the legal or other professional advice of Family Law Fresno. Neither Glenn R. Wilson nor any other Family Law Fresno entity accepts any responsibility for any loss which may arise from reliance on information contained on this site. This web site constitutes an advertisement. Before making your choice of attorney, you should give this matter careful thought. The selection of an attorney is an important decision.